Is there any kind of food you hate because of the memories from your school canteen? Do you have any good memories concerning food from your school? It is true that we create our food habits in early childhood. And we are influenced mainly by our parents and teachers. 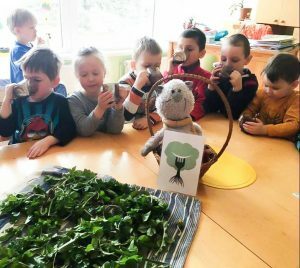 The teachers in Mezmalina Nursery School know this very well, so they decided to teach their kids the right food habits and show them and their parents how important it is to be a responsible consumer. The ingredients we choose for our meals and their quality is important not only for our health, but also for the environment. Because of that, the Mezmalina school in Latvia decided to procure more environmentally-friendly products. They focused on local and seasonal food and started to educate the kids as well as their parents about the advantages. They started to organize a green market every two months, which became a great opportunity for children, parents and school staff to meet local producers. They could not only taste and buy their food products, but they could most importantly, talk to them and get to know them better. This way of buying food is far better than shopping in a supermarket. There, most of the food producers are completely anonymous, which means we have no idea if their working conditions are fair or unfair and hard, only because the price is required to be low. Moreover, local and seasonal products are much tastier and healthier, which is crucially important for little kids. They also have not traveled half the globe and usually contain no harmful preservatives. 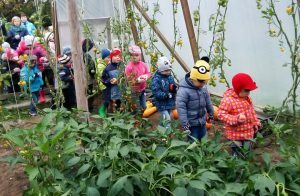 To show how food is grown, the teachers organized several trips for the kids, so that they could visit real farms in their neighborhood. The teachers also helped them to plant their own herbs, berries and various kinds of vegetables in the school garden. 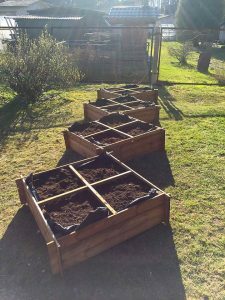 Planting, sowing, looking after the plants and finally tasting the fruits of their work was something like a little adventure for them but mainly, it was a great life experience. They learnt a lot about various types of plants and found out that some of them could be really interesting and unusual, such as purple potatoes. Mezmalina Nursery school did not stop here with their work. They are now creating a guide book „Eat local food, Eat responsibly“ which will be full of precious information about local food producers, including their addresses and lists of their products. They are also planning to add a recipe for each type of food. Thanks to that, the future readers will know, for example, where to buy local buckwheat flour and also how to prepare tasty buckwheat pancakes.